Born on 15th October 1931 at Rameswaram, in Tamil Nadu, Dr Kalam specialised in Aero Engineering from Madras Institute of Technology. He initially worked in DRDO in 1958 and then joined ISRO in 1963. As project Director, SLV-III, he contributed for the design, development and management of India's first indigenous Satellite Launch Vehicle (SLV-III) to inject Rohini satellite in the near earth orbit. He was responsible for the evolution of ISRO's launch vehicles programme and configurations. He rejoined DRDO in 1982 and conceived the Integrated Guided Missile Development Programme (IGMDP) for indigenous missiles. He was Scientific Adviser to Defence Minister and Secretary, Department of Defence Research & Development from July 1992 to December 1999. Dr Kalam has made significant contribution to Indian satellite and launch vehicles. Through SLV-III and Guided Missile Programme, a solid foundation has been laid for indigenous design and development of high technology aerospace projects. As Chairman, Technology Information, Forecasting and Assessment Council (TIFAC), which generated the Technology Vision 2020 documents, he provided overall guidance to a number of Homegrown Technology Projects and major technology missions such as Sugar, Advanced composites and fly ash utilization. Dr Kalam has served as the Principal Scientific Adviser to the Government of India, in the rank of Cabinet Minister, from November 1999 to November 2001, He was primarily responsible for evolving policies, strategies and missions for generation of innovations and support systems for multiple applications. Also, generating science and technology task in strategic, economic and social sectors in partnership with Government departments, institutions and industry. 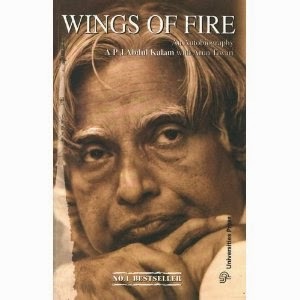 Dr Kalam was also the Chairman, Ex-officio, of the Scientific Advisory Committee to the Cabinet (SAC-C).